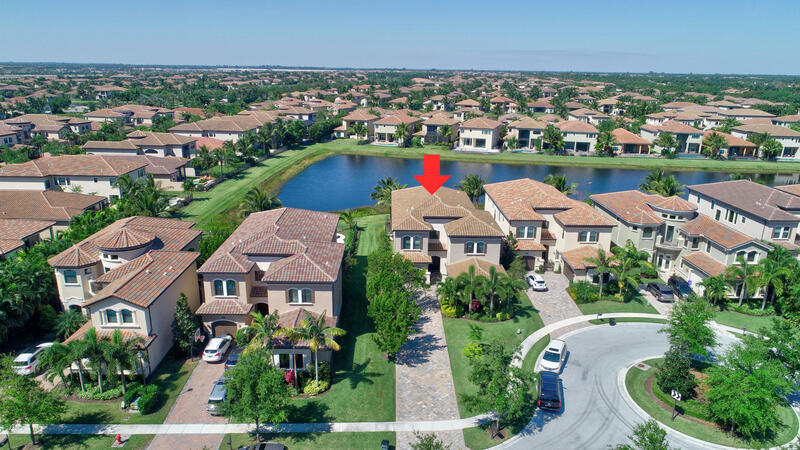 All THE BRIDGES PL 7 homes currently listed for sale in Delray Beach as of 04/21/2019 are shown below. You can change the search criteria at any time by pressing the 'Change Search' button below. "THIS SANIBEL MODEL WITH A LAKEVIEW IS PRICED TO SELL QUICKLY.Seller must relocate for business. This house has it all! The 5 bedroom/7.5 bath home plus club room sits on a waterfront lot with a pool & 3 car garage . This location is on an easement with extra land . The extra long driveway has room for 10 cars. The plan offers a generous foyer entrance, formal living & dining rooms, wet bar, family room with cabana bath, media/club room, a first floor bedroom with bath en-suite , first floor mud room and an outstanding kitchen outfitted with stainless steel appliances. Upstairs is a huge master suite w/his/hers baths, closets & sitting area. All additional bedrooms up are en-suites w/a laundry room adjacent. A large loft area makes the perfect play or study area for kids."